The Capellan Confederation is attacked by the Duchy of Andurien-Magistracy of Canopus alliance. March: Capellan Confederation launches counteroffensive against the Andurien-Canopus alliance. February: Tyr extremist groups bomb government buildings in the Tamar Pact. June: Coordinator Takashi Kurita orders that the Genyosha and Ryuken be disbanded and dispersed among the rest of the DCMS. September: Following a vote the Tikonov Free Republic disbands as a nation and is absorbed into the Sarna March of the Federated Commonwealth. Military industries of the Federated Commonwealth suffer post-war depression. The Black Widow Company, now expanded to Battalion size, becomes the first Wolf's Dragoons unit available for hire after the Fourth Succession War. Magestrix Kyalla Centrella refuses to honor the Duchy of Andurien's plea for help against an invasion by the Free Worlds League. August 9th: Sun Tzu Liao born. John Christopher born on Terra. Santin West of Clan Nova Cat is born. Raven Clearwater of Clan Coyote is born. Cassie Suthorn is born in the Draconis Combine. Quickscell Company introduces the Cellco Ranger UPU-3000 (Armored Car) variant. 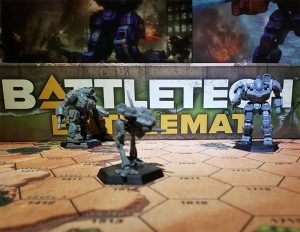 The VND-1SIC variant of the Vindicator BattleMech is introduced. This page was last edited on 14 July 2017, at 05:55.